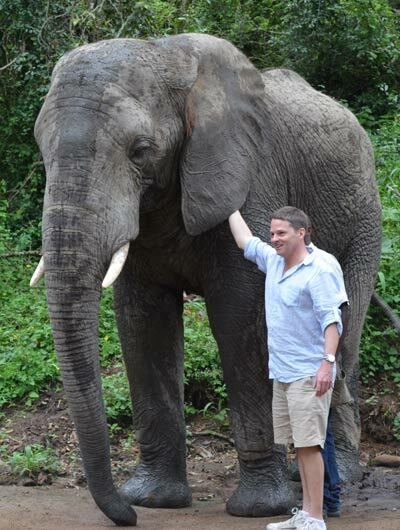 Elephant Sanctuary, The Crags, Plettenberg Bay, has African elephants and offers an interactive elephant experience. 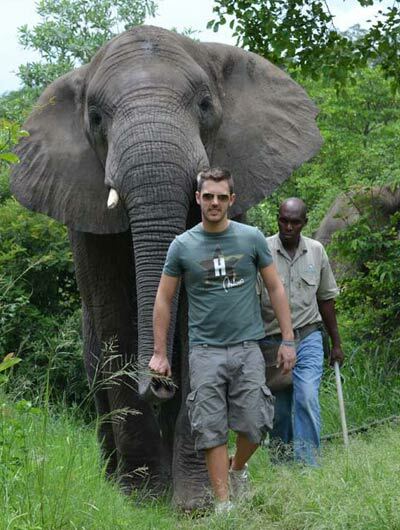 Hazyview Elephant Sanctuary has African elephants and offers an interactive elephant experience. We offer hands-on educational elephant interactions with smaller groups of people. 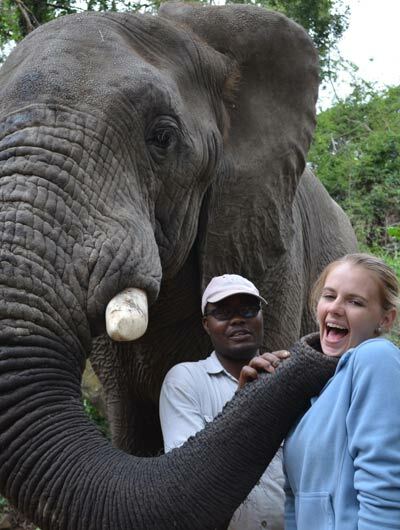 This provides our guests with a far more intimate experience with the elephants. Our dedicated staff is committed to the use of positive reinforcement elephant training methods and as a result, we have relaxed elephants who enjoy interacting with our guests. Guests are guided in small groups on foot through The Elephant Sanctuary. 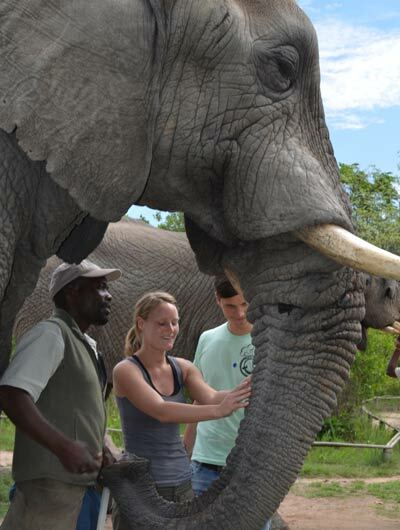 Guides will provide in-depth information and insight into African elephants. You will be introduced to our elephants in the forest area, and here you will be able to touch and interact with the elephants. You will see the special relationship that the elephant handlers share with their elephants and become a part of it. Walk trunk-in-hand with the elephants. See the Elephant night shelters where the elephants sleep. Guests learn about elephant anatomy and are able to feed them. Enjoy a drink and visit our curio shop. Remember to wear flat walking shoes, sun hats and bring your camera. 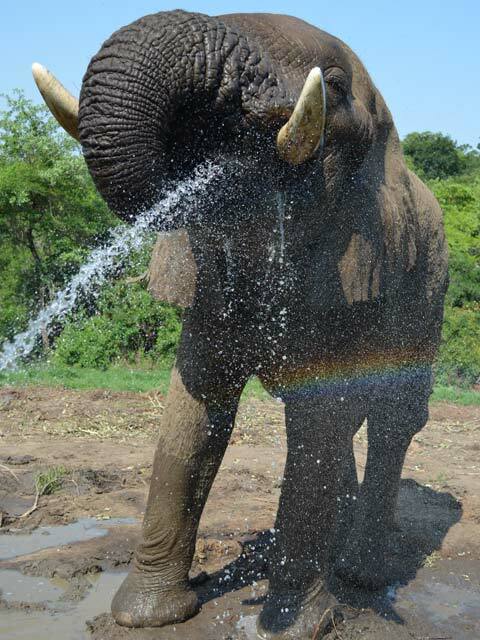 If you are an early bird, join as at 07h30 sharp for an amazing Elephant Experience which includes brushing the elephants down. This is a very special program; meet at our reception at 07:30 where you will receive a complimentary coffee. You will then assist us with the grooming of our giants with a brush-down that is up-close and personal, at 08:00 you join the interaction program where you will learn about their background, touching, feeding and walking. A full HD DVD of your experience with the Elephants can be purchased from our Curio shop. Full Elephant Introduction in Forest and tour of the Sanctuary and Shelters. An experienced guide will introduce you to Kasper and Kitso. Elephants are highly intelligent and delightful; you will discover a different character, personality within each one; while you touch, feel, interact, walk with the trunk in hand and feed these two giants. We offer 4 programs every day of the week. Program duration is 1h30min. The rate includes a free refreshment. On arrival at 15:00 you will learn more about this extraordinary animal. Kasper and Kitso will provide you with the opportunity to touch, feel and feed them, all while our experienced guides will teach you about the importance of the largest land mammal. Experience our 2 giants when they take a swim on a hot day, (if weather permits) while you or your guests enjoy light snacks and a drink during a beautiful sunset in Mpumalanga. On arrival at 15:00 you will learn more about this extraordinary animal, Kasper and Kitso will provide you with the opportunity to touch, feel and feed them, all while our experienced guides will teach you about the importance of the largest land mammal. Experience our 2 giants when they take a swim on a hot day, (if weather permits) while your guests enjoy light snacks and a drink during a beautiful sunset in Mpumalanga. After they enjoyed their afternoon swim, you or your guests will groom them with a brush-down before they go to bed for the night. This will conclude your experience. 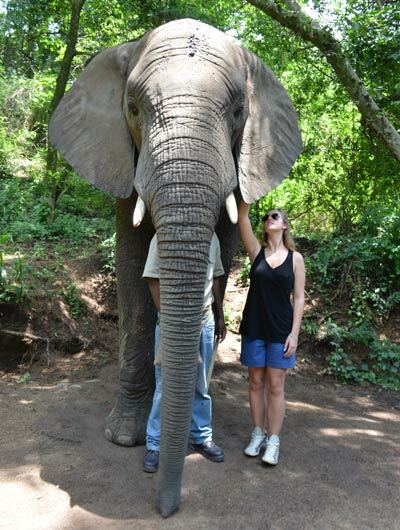 The Elephant Sanctuary team is proud to offer a new and highly innovative Full Day Guided elephant program where you, our guest, are immersed into A Day in the life of an African Elephant, it offers guests the opportunity to get close-up and personal with an African Elephant. You will learn more about care, management, behaviour, and husbandry of our 2 Elephants. The program commences at 07:30 and is filled with intrigue and wonder, walking in the footsteps of these giants. While working as an elephant keeper with your personal guide, we provide you with an early morning muffin, refreshments and a lunch at 12:00. This is a once in lifetime experience. Roll up your sleeves, assist to clean their Shelters, provide feeding during the day, ensure that they have enough water to roll in the mud, late afternoon you will get the time to prepare their beds and prepare them for a good night’s rest. Included in your day is an Interaction program with one of the groups as well as an informative workbook. If your time is limited and you want to be a member of our team, join us for an extraordinary morning experience with an African Elephant. You will be treated to an early morning muffin and refreshment when meeting your personal guide, you will get the opportunity to groom our elephants, learn more about the care, management, behaviour, and husbandry of Kasper and Kitso. The program commences at 07:30 to 12:00. The rate includes a free refreshment. A Hull HD DVD of your experience with the Elephants can be purchased from our Curio shop. 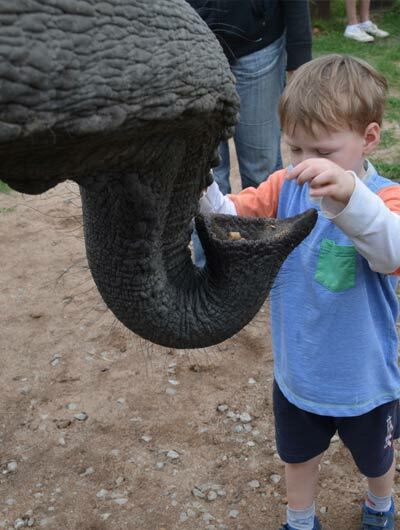 Children of all ages are welcome on all interactive elephant experiences and can walk hand-in-trunk with the elephants.